Many applications, are similar, in their nature. So what attracts users to one application over the other application? In the second part of the consumer’s consideration, we take a look at the next 3 reasons. 8 in 10 or 80% of the consumers will check out screenshots before making their decision to download. Hence, showcase your application’s unique and most exciting features in your screenshots. Show off your application, not tell. 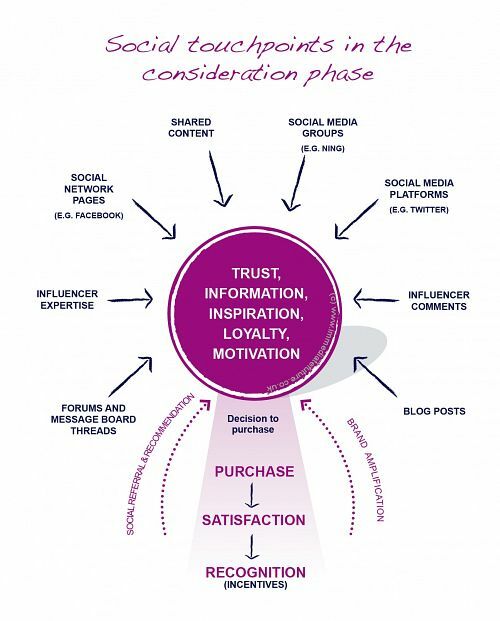 8 in 10 or 80% of the consumers thinks this is important. Status’s such as Build For BlackBerry‘s endorsement is a key attraction feature. Get your application certified for a greater awareness. 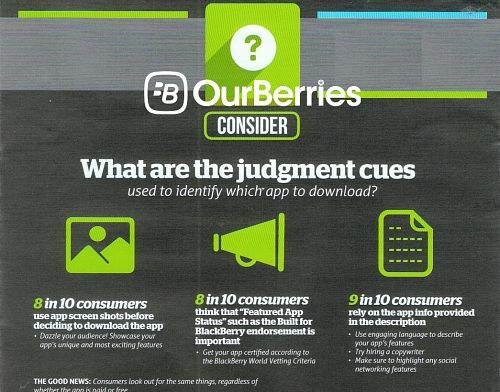 9 in 10 or 90% of the consumers would rely on the app info provided in the description. Screenshots and status’s are important. But if your application does not have the right accompanying texts to explain the application features, it would confuse consumers. As such, use engaging language to describe your application. Highlight social networking features within it as well. The good news: Consumers look out for the same things, regardless of whether the application is paid or free! So now, what is the best way to monetize an app? Well, look for it in the next installment!